St. Sebastian ~ January 20th is the Feast of St. Sebastian. In this 21st century the call to martyrdom, in the fullest literal sense and in the daily spiritual sense is just as real. May the love of Christ call us to follow our Lord in His holy and sacrificial love. 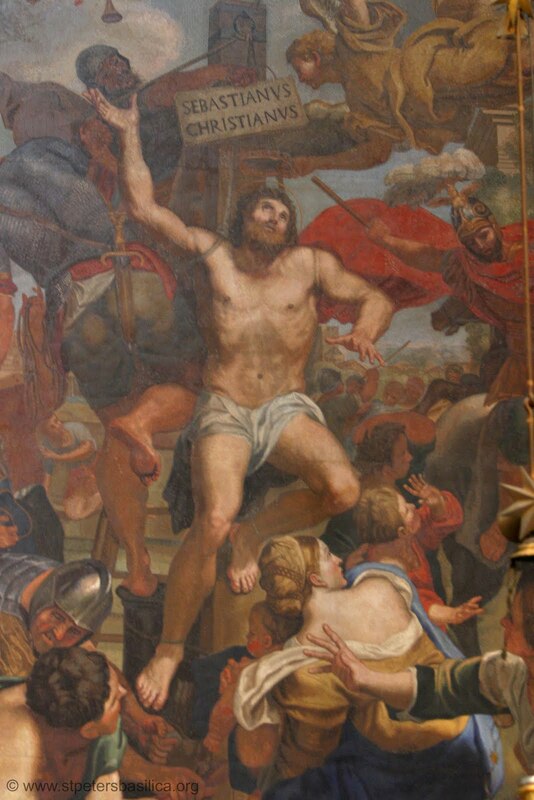 St. Sebastian, pray for us. Sebastian knew and felt the sorrow. Faced the hate that doubt did thrust. Sebastian something more did own. A holy joy his life would sing. with those cringing under persecutors glare. the Roman court was inspired. Sebastian faced the tempters throne. let your noble flesh be pleased. from the soul of men did plead. while pleasure, power, pride do flow”. for love, for purpose, to belong. and to Christ he did flee. he found the courage with to face. for those denying Satan’s song. Sebastian for the Christ did yearn. for his body with killing thrust. arrows failed his life to quench. so chose to attack again their fears. crushing breaking his noble face. Sisters, brothers , faithful cried. tears of joy even more so flowed. shared with us his martyrs blood. the hope, the love of Christ to fill. from doubt and hatred’s brutal blows. in simple faith and courage give. who frees us from the chains of sin. in the quest for holy life. So His praise and love to sing.